Conversations over a soft stove - AMBER P.B. Wood-stove constructed from vintage textiles and found materials. 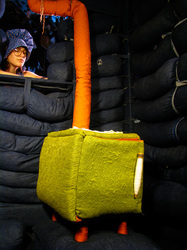 This piece was made during a residency and internship at the Elsewhere Artist Collaborative in Greensboro, NC. 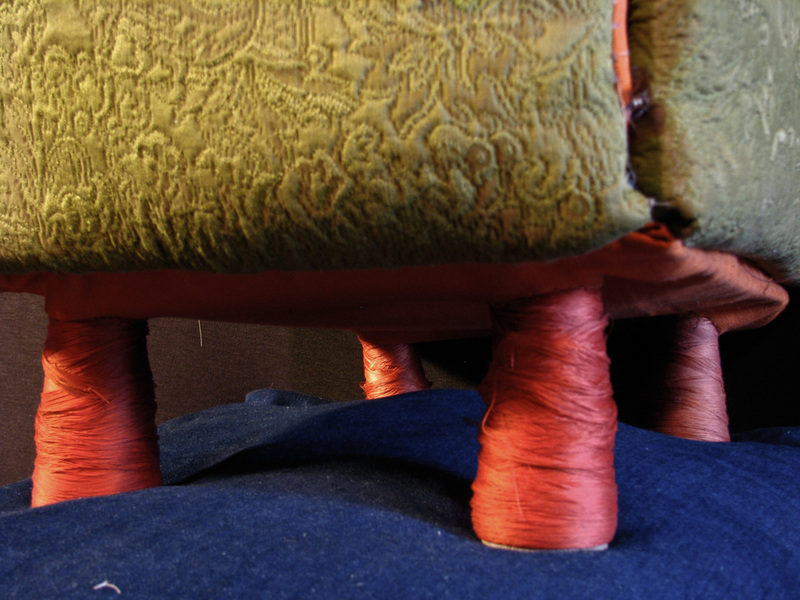 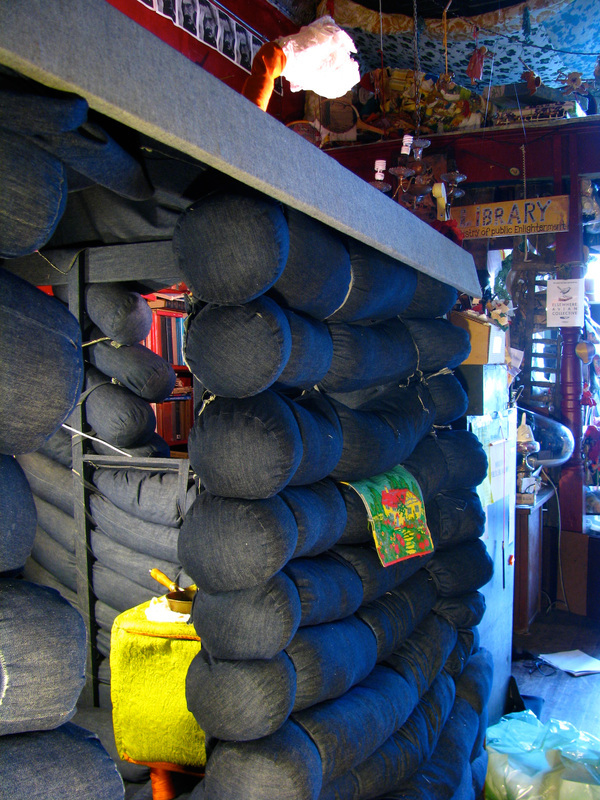 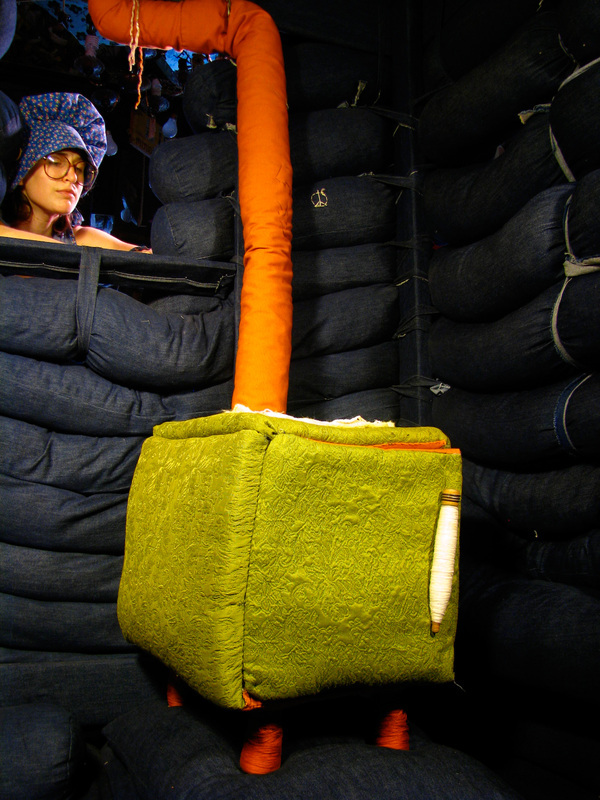 The piece was made in reaction to an existing textile installation and soft-sculpture Denim Log Cabin, by artist Suzanna Mira, 2007. 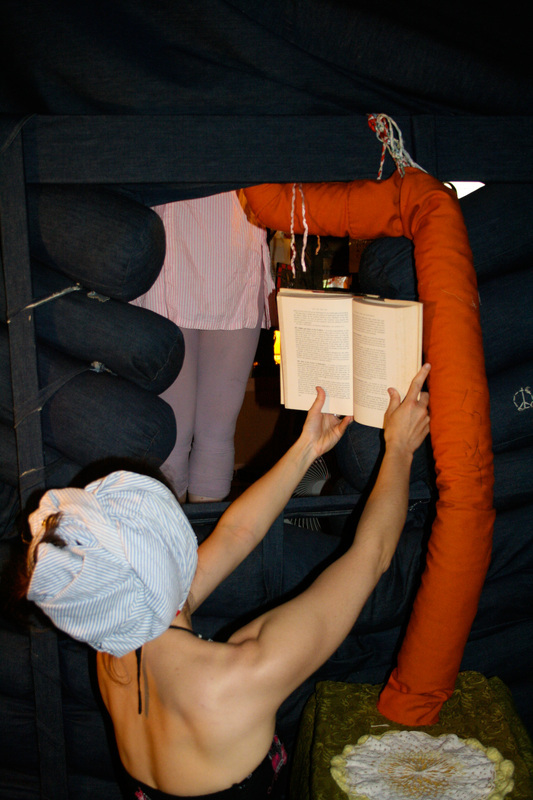 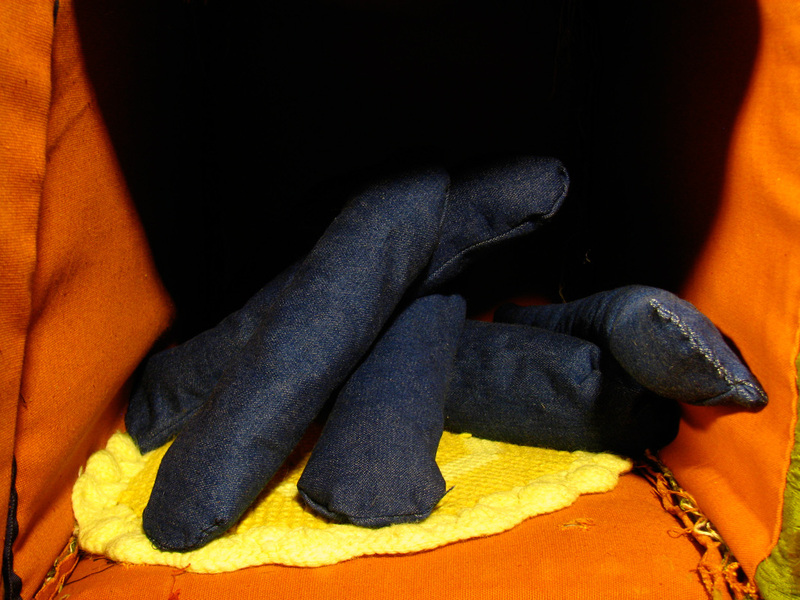 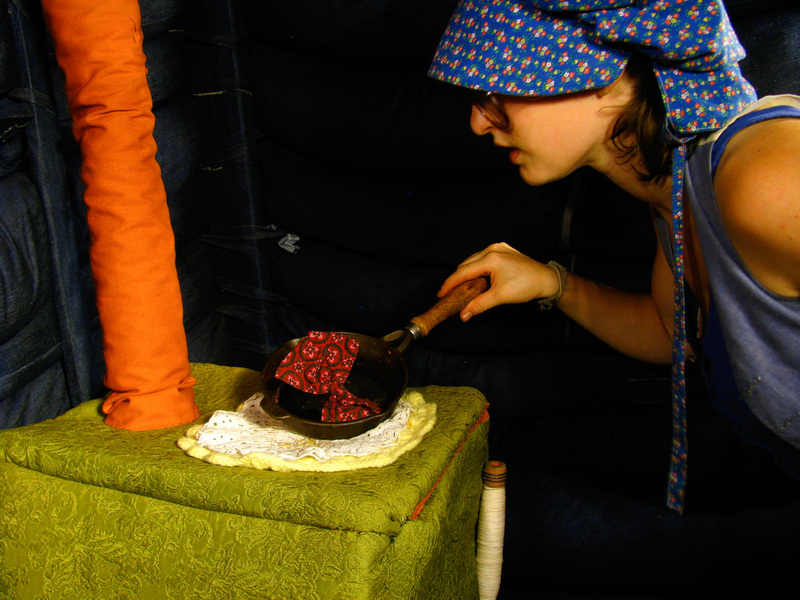 The Soft-Stove was host to a series of conversation-based performances through within and through the window of the Denim Log-Cabin, exploring domesticity, food and comfort.